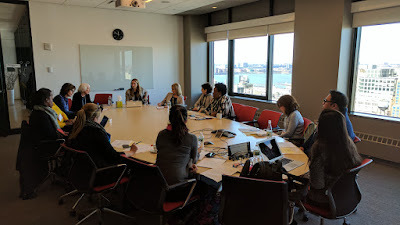 Furthering Girls’ Math Identity hosted a working meeting in New York City on January 25, 2017. 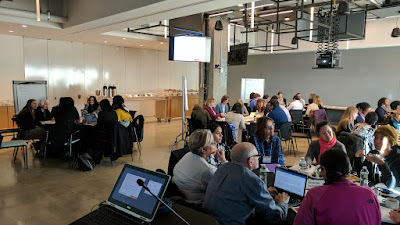 The goal of the meeting was to facilitate collaboration between researchers and practitioners (e.g., classroom teachers, informal educators, and staff development professionals) on improvement projects designed to foster a strong math identity in middle-school girls. Mini-grants were then awarded to aid promising projects in planning and implementation. Project summaries can be viewed here. An evaluation report can be viewed here. Bryk, A. S., Gomez, L. M., Grunow, A., & LeMahieu, P. G. (2015). Learning to improve: How America’s schools can get better at getting better. Plan-do-study-act inquiry cycles are a method for iterative testing of changes to a process or intervention. The cycle includes the following steps: 1) Plan- Define the change. Make predictions about what will happen as a result. Design a way to test the change. 2) Do- Carry out the change. Collect data on the results. 3) Study- analyze the data. Compare results to predictions. Determine what was learned to inform the next cycle. 4) Act- Decide what to do next: adapt, abandon, or adopt the process/intervention.